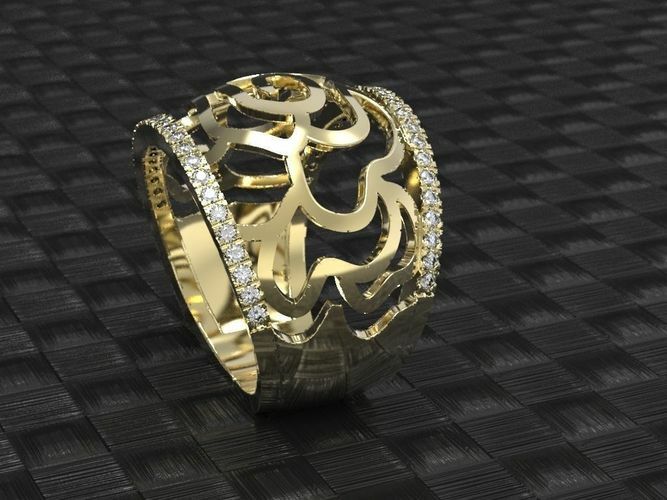 Gold rose ring 3d printable model - very original and unique. He looks refined on his finger. The flower theme in the jeweler is a classic. It is always in high demand. Ornaments in combination with diamonds look great. The model is executed very qualitatively taking into account all sizes for further jewelry production. All my models are printed on a 3d printer and cast in metal.